Wodonga’s Jon Hayes, centre, is inducted as one of AMIC’s Distinguished Australians by Maersk Line’s Nicholas Long and AMIC processor chairman David Larkin. The managing director of the Wodonga abattoir in northern Victoria, Jon Hayes, earned the meat processing industry’s highest honour last night when he joined a select group of industry stakeholders named as Distinguished Australians of the Year. The Distinguished Australian of the Year was the culmination of a series of awards made during the concluding stages of the 2013 AMIC Meat Industry conference on the Gold Coast last night. He has chaired AMIC’s Halal committee for more than a decade, and has represented Australia numerous times at World Halal forums. Because of his integrity and commitment to the Halal cause, Mr Hayes has been one of the few non-Muslim representatives asked to speak at the forum events. 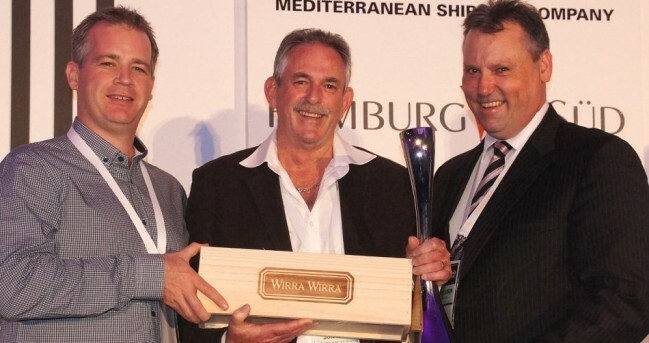 There is no doubt that Australia’s reputation as a reputable and committed Halal beef and sheepmeat supplier has been greatly strengthened as a result of Mr Hayes’ contribution to industry. He was also large responsible for the formation of the former AQIS Halal Consultative Committee (as of yesterday renamed simply Department of Agriculture). 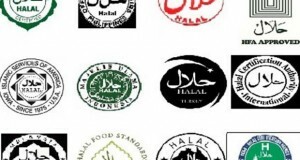 The committee comprises all Australian Halal stakeholders, including the 15 Islamic certifiers operating in Australia, individual processors, AMIC, AQIS and other government agencies. The committee’s focus is to ensure that Australia’s Halal systems and processes carry the highest integrity in international customers’ eyes. Mr Hayes worked his way up from the industry grassroots, starting work at Newcastle abattoir before training as a meat inspector. 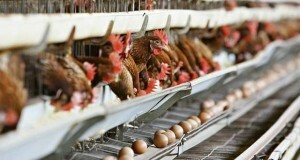 He worked as an inspector at a wide number of plants across Australia from Townsville to Homebush, Dubbo and Portland. When the organochloride residue controversy broke in the late 1980s, he was called to Canberra to assist with the administration and clearance of product, and the implementation of new testing protocols. In 1991 he accepted a position as managing director of the Wodonga abattoir and rendering business in Victoria, a position which he continues to hold today, 22 years later. “John Hayes has been a truly great contributor to the betterment of the industry, and one with significant technical skill and experience,” AMIC processor chairman, David Larkin said.